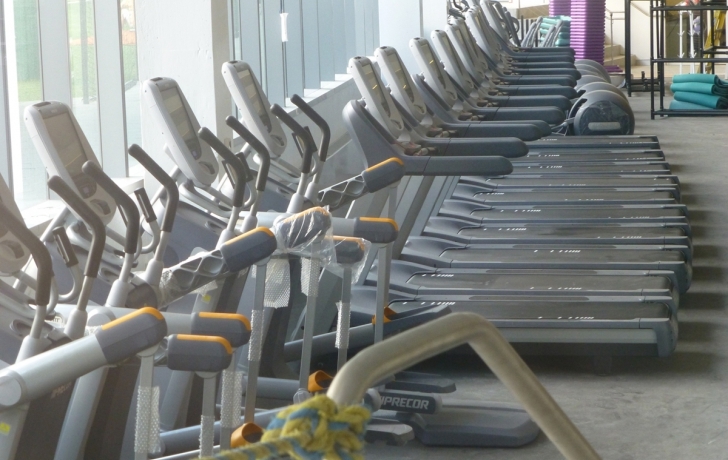 Exercise equipment stands unused in the completed Battery Park City Community Center. First it was a problem with boiler inspections. Then it was fire safety permits and sprinkler drawings and plumbing sign-offs. For nearly a year the Battery Park City Authority told increasingly frustrated residents that the repeated delays in opening its new $55-million community center were largely bureaucratic. Then last month, the BPCA finally confirmed what it had maintained was a community rumor: The Authority was indeed engaged in a contract dispute with the community center’s intended operator, Asphalt Green. The Authority has been working with litigator Randy Mastro to see how the contract might be amended, Mehiel said in the statement, which was released just hours after Authority president Gayle Horwitz tendered her resignation. Neither Asphalt Green’s spokeswoman nor its executive director responded to multiple requests for comment, and both the Authority and Asphalt Green have declined to publicly reveal the substance of the dispute. Under the terms of the management contract, negotiated in 2009 by its previous administration, the Authority would pay for the center’s construction, equipment and furnishings, and all utilities and repairs as well as its annual operating budget, management fees and a portion of “corporate overhead expenses.” Any profit would be split between the Authority and Asphalt Green 60-40. But the Authority could also face steep losses. The contract estimates a first-year deficit of $1.2 million. Former board member Charles Ur­stadt, who cast the sole vote against awarding the contract to Asphalt Green, said the Authority would have been better off leasing the space to a commercial gym that would have brought in rental income for the state agency. Money spent by the Authority subsidizing a community center detracts from the Authority’s original purpose of financing affordable housing across the city, said Urstadt, who was the Authority’s founding chairman. According to the 2009 management agreement obtained by the Trib, delays in opening the center may be costing the Authority, too. According to the contract, once the pre-opening period extended past June, Asphalt Green can bill the Authority for management fees at the rate of $80 an hour. The Authority has not responded to a request from the Trib to see those invoices or to be told whether they exist. Not so, says James Cavanaugh, the former Authority president who oversaw the contract negotiations. He said too much has been made of projected losses at the community center. “There ought not to be losses. This whole process was designed to provide an operating surplus,” Cavanaugh said, adding that he still believes that Asphalt Green will turn a profit within a few years of opening, while meeting the community needs. Terry said it takes a “mutual mistake or a material misrepresentation by one of the parties” to cancel a contract. It also might be possible if circumstances have changed so dramatically that it is not possible or practical to carry out the contract. “Those are tough standards to meet,” he said. In the meantime, residents, some who signed up for memberships as early as last fall, remain dismayed.